In March, 2018 the Louisiana First Circuit Court of Appeal rendered a decision critical to how oil producers in Louisiana calculate and pay severance taxes. The taxpayer, Mantle Oil & Gas LLC, sold oil produced in Assumption Parish to Central Crude, Inc. pursuant to a purchase contract. The contract contained a formula for calculating the price of the oil, and the formula included a $1.80 per barrel charge for Central Crude to transport the oil off the lease. The Louisiana Department of Revenue alleged that the transportation charge was an improper, post-sale deduction and assessed severance taxes, interest, and penalties against Mantle. The First Circuit disagreed, finding the transportation charge was part of the price paid for the oil sold. Based on this finding, the appellate court held that Mantle had properly paid severance taxes on the “gross receipts” or payments received from Central Crude. The court further observed that even if the charge was considered a post-sale “deduction,” the law allows producers to deduct transportation costs from gross receipts prior to paying severance taxes. Mantle also sold oil from a well located in Allen Parish to Plains Marketing, LP and paid severance taxes on the price Plains paid for the produced oil. The Department asserted that Mantle should have paid severance taxes on the price purchasers were paying for oil in St. James Parish, over 130 miles away from the point of production, but only in those months when the St. James price was higher than the price Mantle received from Plains. The First Circuit again sided with the taxpayer, finding the Department failed to submit any evidence that the St. James price was an “area price” or “posted field price” for the oil Mantle sold in Allen Parish. The appellate court affirmed the district court’s grant of summary judgment in favor of Mantle on all counts, and assessed interest and appeal costs against the Department. The Department sought writs from the Louisiana Supreme Court, asking for reversal of the First Circuit’s opinion based on the alleged inadmissibility of certain documents submitted by Mantle in support of its motion, claiming the documents should not have been considered by either of the courts below. On September, 28, 2018, the Louisiana Supreme Court denied the Department’s writ application, putting an end to two and a half years of litigation. The First Circuit Court of Appeal’s full decision in Mantle can be found here. Mantle was represented by Carver Darden’s Taylor Darden and Seth Bagwell. If you want more information about this case or have a severance tax question, please contact Seth Bagwell at the address below. 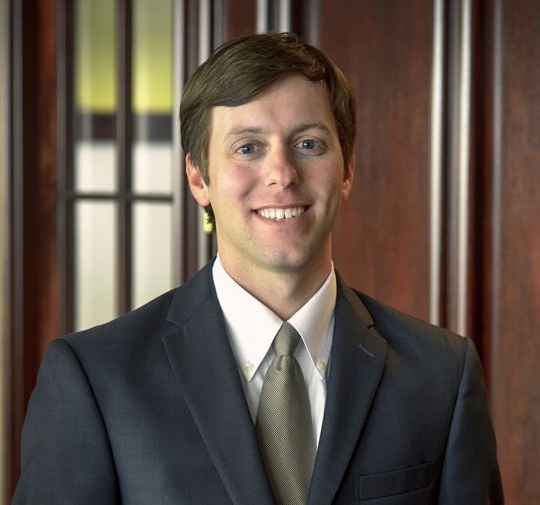 Seth Bagwell an associate in the firm's New Orleans office.